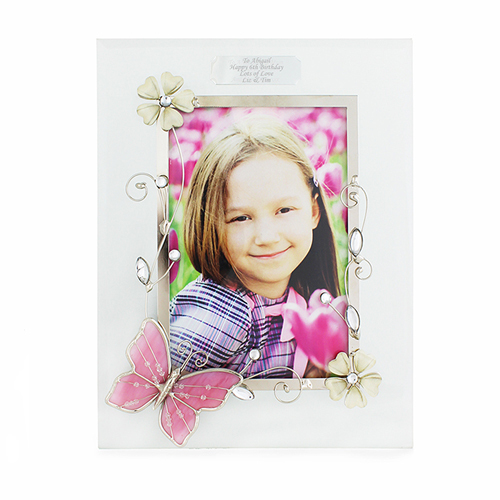 A gorgeous frame that will only add to the beauty of your favourite photo. This pretty clear wire and glass photo frame holds a 6x4 photograph and is perfect for any occasion whether it be a special birthday, mother's day or wedding gift the list is endless! You can personalise the plaque at the top of the frame with any message over 4 lines and up to 20 characters per line. Personalise the plaque at the top of the frame with any message over 4 lines and up to 20 characters per line.